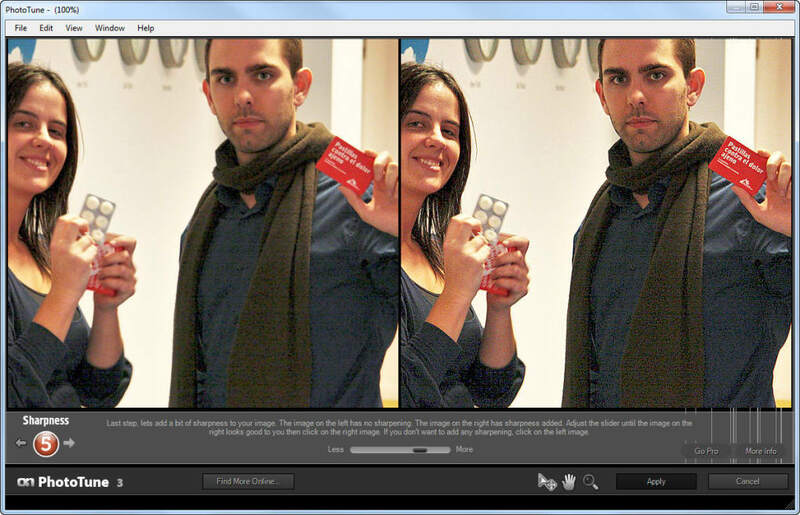 PhotoTune helps you retouch and optimize digital photos by simply choosing the one you prefer from two options. Right after launching the program, you have to select the photo you want to fix. 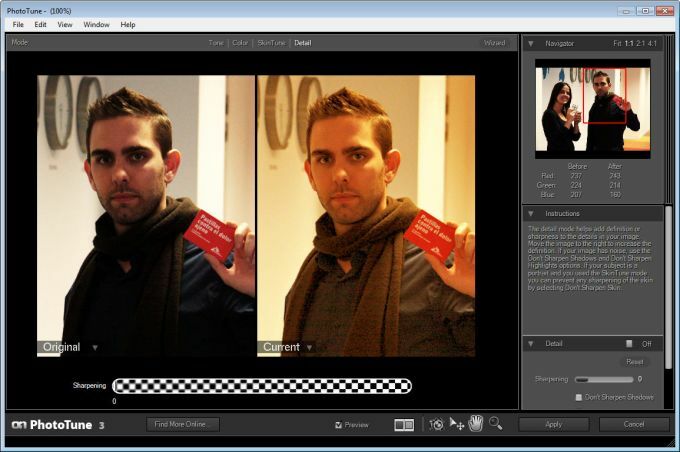 PhotoTune will then ask if the image contains people or not, and start a step-by-step wizard to fine-tune the picture. The program doesn’t work with folders, however, and nor does it include a built-in file explorer to browse your photo collection. PhotoTune works little by little; the program fixes an image parameter at a time (tone, color, skin tuning, brightness, contrast and so on), displaying two versions of the photo and asking you to choose the one you like best. There’s also a Pro mode in PhotoTune that gives you more control over the image. 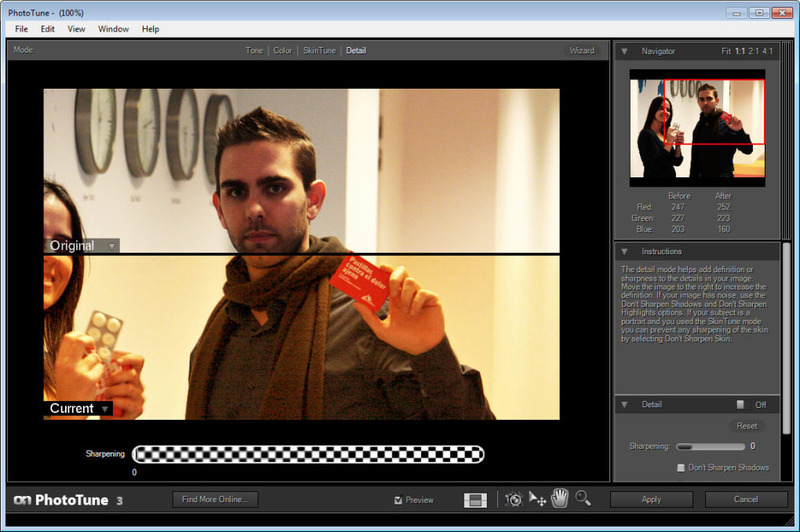 This mode includes a bunch of handy, easy-to-use editing tools with which you can optimize all the image’s parameters. Plus, any changes you apply are displayed in real time. 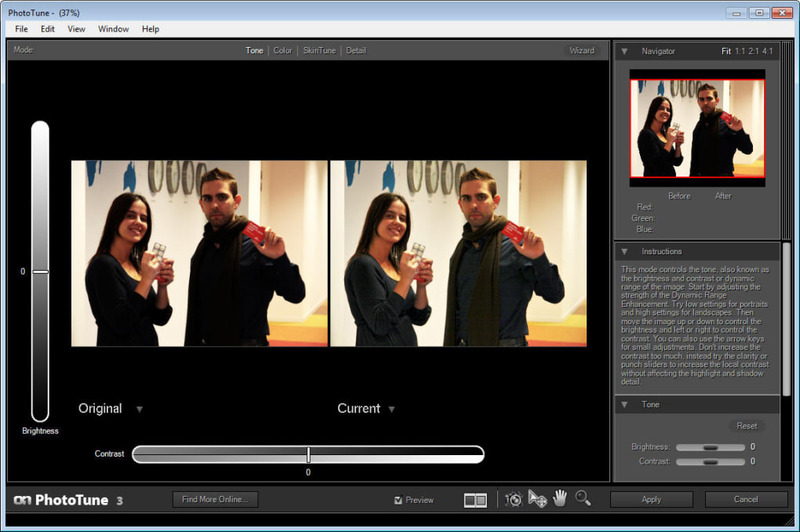 Also, PhotoTune can be used as a plug-in for Adobe Photoshop or Lightroom. 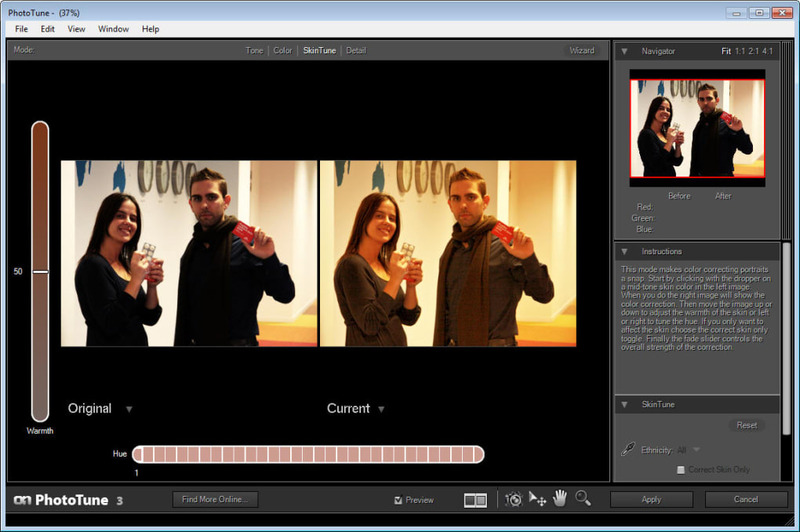 PhhotoTune allows you to edit your photos gradually and easily - and in real time! What do you think about PhotoTune? Do you recommend it? Why?